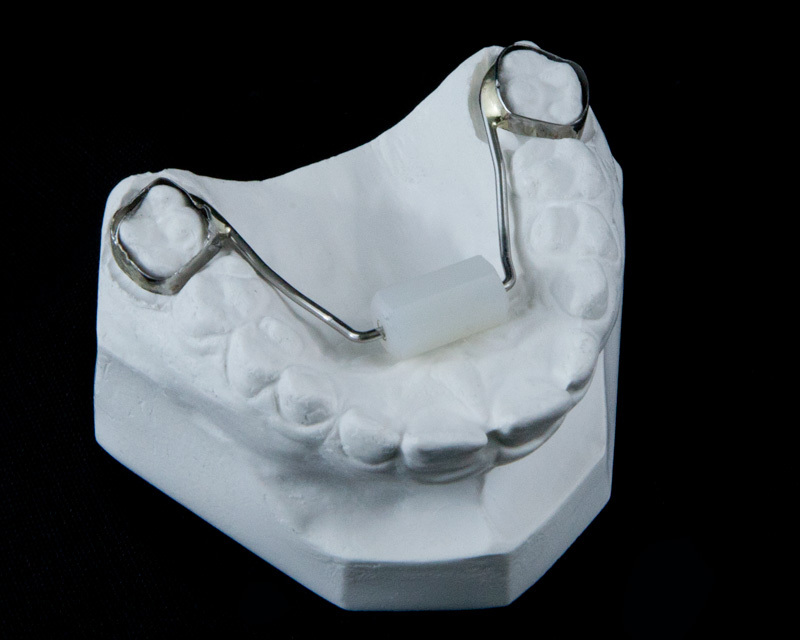 Designed in the Commonwealth of Kentucky by Dr. Bruce Haskell of University of Louisville and Dr. John Mink of University of Kentucky, the Bluegrass Pediatric Appliance is used for children with a thumb sucking habit and is a positive alternative to the palatal rake or crib designs. The appliance is inserted in a mixed or permanent dentition, and the child quickly is conditioned to roll the Teflon roller with his or her tongue. The appliance is an effective counter-conditioning stimulus to break thumb sucking. To evaluate the outcomes and success of the Bluegrass Appliance, see “A retrospective study of the use of the Bluegrass appliance in the cessation of thumb habits,” by Mink and Greenleaf.